RaviRaj Technologies is continuously introducing cutting-edge technologies in its products to achieve lower costs, better quality and competitive advantage. 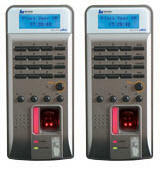 RaviRaj Technologies is now offering GSM based hardware and software development services. This include embedded GSM terminals, GSM modems, GSM module integration, GPRS communication integration, GSM based remote monitoring and management systems, GSM applications in Industrial control, GSM security systems and more.. Applications of GSM GPRS Modems GSM Guwahati, GSM Gurgaon, GSM Haridwar, GSM Hyderabad, GSM Indore, GSM Jaisalmer, GSM Jodhpur, GSM Kanyakumari, GSM Kashmir, GSM Khajuraho, GSM Kodaikanal, GSM Kolkata, GSM Lonavala, GSM Lucknow, GSM Ludhiana, GSM Madurai, GSM Manali, GSM Mumbai, GSM Mussoorie, GSM Munnar, GSM Mysore, GSM Nainital, GSM Ooty, GSM Patna, GSM Pune, GSM Pushkar, GSM Rajkot, GSM Shimla, GSM Udaipur, GSM Varanasi,GPRS and GPS Tracking & Security System for Car, Truck, Fleet & Asset management. Reduced Costs : M2M solutions reduces cost by making the operations efficient, reducing the onsite vists, automating processes etc. Improved Service : By building intelligence with in the devices, M2M solutions can greatly improve the service aspect of the devices through remote management. Modules : Wireless modules that operate on the cellular networks enable remote communication on M2M devices. 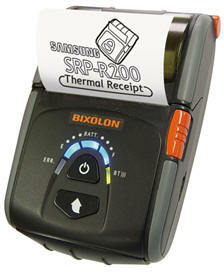 They support different communication methods such as IP, SMS etc. Bandwidth and latencies of wireless modules vary depending on the network technologies that they support. 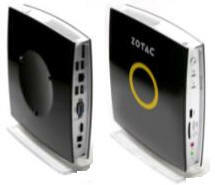 Wireless modules come in different form factors such as PCIe, LGA, BGA and other proprietary form factors. The cost of wireless modules have been significantly coming down over the past few years. Devices : Wireless modules are embedded in variety of devices across various vertical markets such as security, industrial, retail, healtcare, transportation, buildings, energy etc. Network : Many M2M devices operate on the same cellular networks that are used by the everyday mobile devices such as Smartphone, tablets etc. Getting M2M devices certified on carrier network is a challenging task because of the onerous approval process established by network carriers. As voice subscribers are getting saturated, wireless carriers are looking more in to M2M devices for future growth. Software : The real benefit of M2M solutions comes from taking data from a remote device and integrating with backend systems. 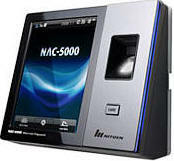 Access control devices: Now access control devices can communicate with servers and security staff through SMS messaging. Complete log of transaction is available at the head-office Server instantly without any wiring involved and device can instantly alert security personnel on their mobile phone in case of any problem. 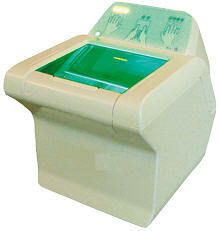 RaviRaj Technologies is introducing this technology in all Fingerprint Access control and time attendance products. 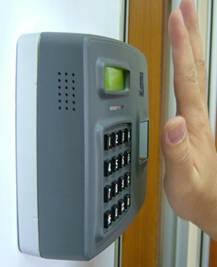 You can achive high security any reliability. Georgia, GSM Hawaii, GSM Idaho, GSM Illinois, GSM Indiana, GSM Iowa, GSM Kansas, GSM Kentucky, GSM Louisiana, GSM Maine, GSM Maryland, GSM Massachusetts, GSM Michigan, GSM Minnesota, GSM Mississippi, GSM Missouri, GSM Montana, GSM Nebraska, GSM Nevada, GSM New Hampshire, GSM New Jersey, GSM New Mexico, GSM New York, GSM North Carolina, GSM North Dakota, GSM Ohio, GSM Oklahoma, GSM Oregon. GSM Charleston, GSM Clovis, GSM Columbia, GSM Des Moines, GSM Dodge, GSM Greeley, GSM Jackson , GSM Jefferson, GSM Kearney, GSM Lexington, GSM Little Rock, GSM Louisville, GSM Madison, GSM Montgomery, GSM Moses Lake, GSM Nashville, GSM New Holland, GSM Oklahoma, GSM Phoenix, GSM Portland, GSM Raleigh, GSM Richmond, GSM St. Joseph, GSM San Angelo, GSM Salt Lake, GSM Sioux Falls, GSM Springfield, GSM South St. Paul, GSM West Fargo, GSM Thomasville, GSM Torrington, GSM Washington,GPRS and USA cities GPRS Amarillo, GPRS Baton Rouge, GPRS Bartow, GPRS Billings, GPRS Charleston, GPRS Clovis, GPRS. Salvador, GSM Guinea, GSM Eritrea, GSM Estonia, GSM Ethiopia, GSM Fiji, GSM Finland, GSM France, GSM Gabon, GSM Gambia, GSM Georgia, GSM Germany, GSM Ghana, GSM Greece, GSM Grenada, GSM Guatemala, GSM Guinea, GSM Guinea, GSM Bissau, GSM Guyana, GSM Haiti, GSM Honduras, GSM Hungary, GSM Iceland, GSM India, GSM Indonesia.